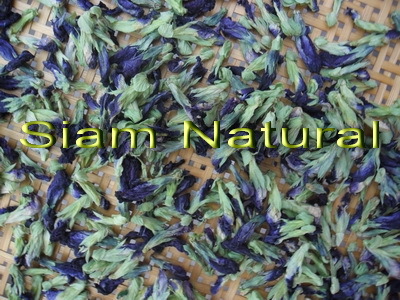 antioxidants namely ascorbic acid, reduced glutathione and total carotenoids were estimated in leaves and flowers of two varieties of Clitoria ternatea,one bearing blue flowers and the other bearing white flowers. 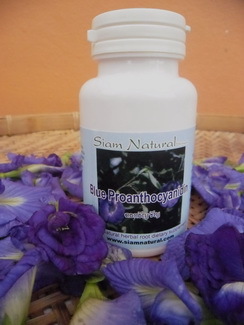 Proanthocyanidin with its high content of the flavonol Quercetin improves eyesight, treats opthalmitis & eye infections, nourishes hair & skin, provides antioxidants and boosts body immunity. 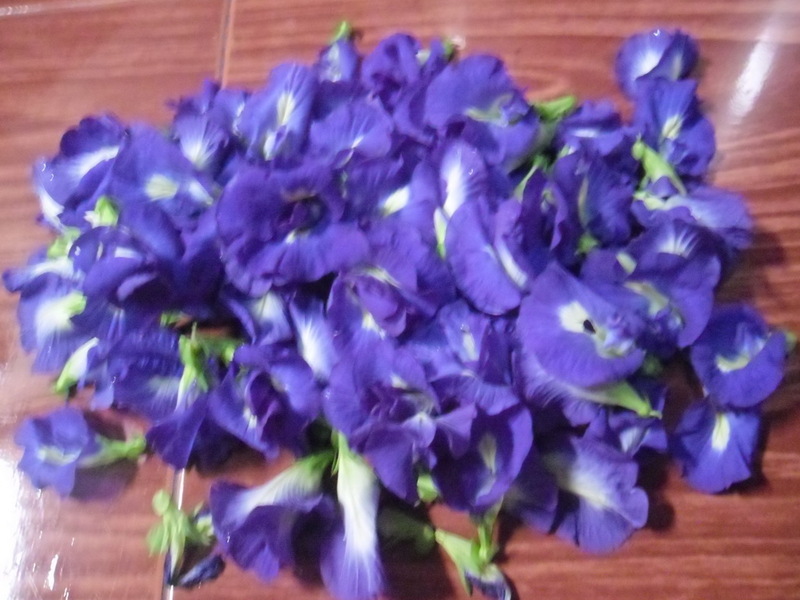 Clinical research in Butterfly Pea indicates that it has potential health effects against eye degeneration caused by diabetes, glaucoma, cataract and other eye related problems. 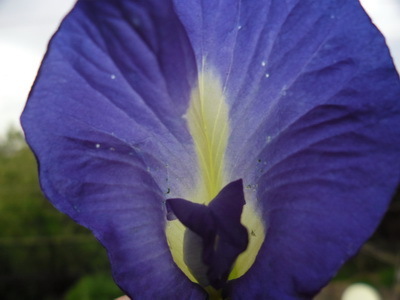 It is said that the Butterfly Pea flower is one of the most valuable natural herbal plants in Thailand! The consumption of a diet low in fat and rich in antioxidants may reduce the risk of obesity and insulin resistance. [26-28] A number of recent reports indicate that consumption of fruits and vegetables, especially rich in polyphenols, decrease the incidence of type-2 diabetes, a condition associated with insulin resistance. [29-31] Insulin resistance is a disorder in which insulin inadequately stimulates glucose transport in skeletal muscle and fat and inadequately suppresses hepatic glucose production. The mechanisms that prevent the ß-cell of the pancreas from secreting sufficient amounts of insulin to overcome peripheral insulin resistance are not yet fully understood. Oral hypoglycemic agents that directly stimulate insulin release from ß- cells (e.g., sulfonylurea-based drugs), however, can elevate insulin secretion from islets of type-2 diabetic patients sufficiently to overcome peripheral insulin resistance and normalize blood glucose levels. One of the disadvantages of using sulfonylurea-based drugs is that they fail to control normal blood glucose levels These drugs also adversely affect the ability of ß-cells to secrete consistent insulin level and cause weight gain. Hence, it would be beneficial if dietary constituents could regulate blood glucose levels or induce insulin production by pancreatic ß-cells in the type-2 diabetic condition. However, there is little clinical evidence that food factors can do this. It is well known that dietary antioxidants, including anthocyanins, protect pancreatic ß-cells from glucoseinduced oxidative stress. Recently Jayaprakasam et al. demonstrated glucose-induced insulin release from pancreatic ß-cells by anthocyanins and anthocyanidins. 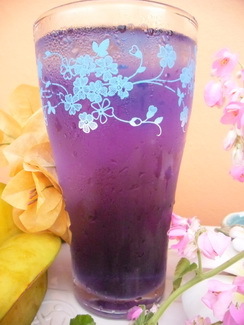 Anthocyanins are the largest group of water-soluble pigments in the plant kingdom, known collectively as flavonoids. More than 8000 flavonoids, and 500 anthocyanin structures had been reported by the year 2000 and more are continually being isolated. Anthocyanins are believed to display an array of beneficial actions on human health and well-being. Due to our increasing understanding and awareness of the potential beneficial human health effects, research on anthocyanins has recently intensified. During the past two decades an increasing number of studies have investigated the diverse protective effects elicited by polyphenolics present in various fruits and vegetables. 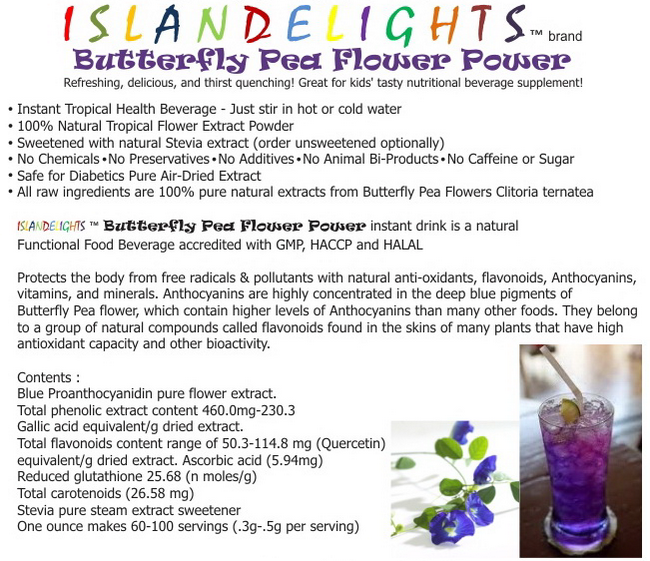 These effects include antioxidant, anti-allergic, anti-inflammatory, anti-viral, antiproliferative, anti-mutagenic, anti-microbial, anti-carcinogenic, protection from cardiovascular damage and allergy, microcirculation improvement, peripheral capillary fragility prevention, diabetes prevention, and vision improvement. Paradisemoon 100 RADIO SPECIAL - Get two bottles for the price of one with DISCOUNT CODE! Directions: Take 2 capsules twice daily with meals as a natural antioxidant health supplement & holistic treatment for Diabetes II. 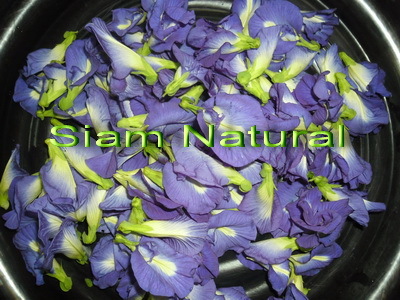 Get that soft & smooth glow for your hair & skin with the abundant content of of the polyphenol, Quercetin - Blue Butterfly Pea is loaded in this 100% natural southeast Asian flower! $5.99 + $5.00 shipping/handling one ounce foil pack. present in fruits. J Agric Food Chem 2005; 53: 28-31.
of sterol regulatory element binding protein-1. Biochim Biophys Acta 2001; 1534: 1-13. 29. Anderson RA, Polansky MM. 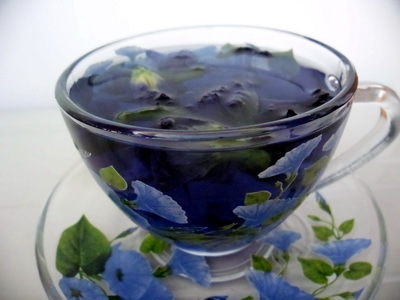 Tea enhances insulin activity. J Agric Food Chem 2002; 50: 7182-7186. WF, Khan A, Flanagan VP, Schoene NW, Graves DJ. polymers from cinnamon with insulin-like biological activity. J Agric Food Chem 2004; 52: 65-70. Food Chem 2003; 51: 311-8.
with potent inhibitory activity. J Agric Food Chem.